You’ll love the new bundle Beauty Abounds! 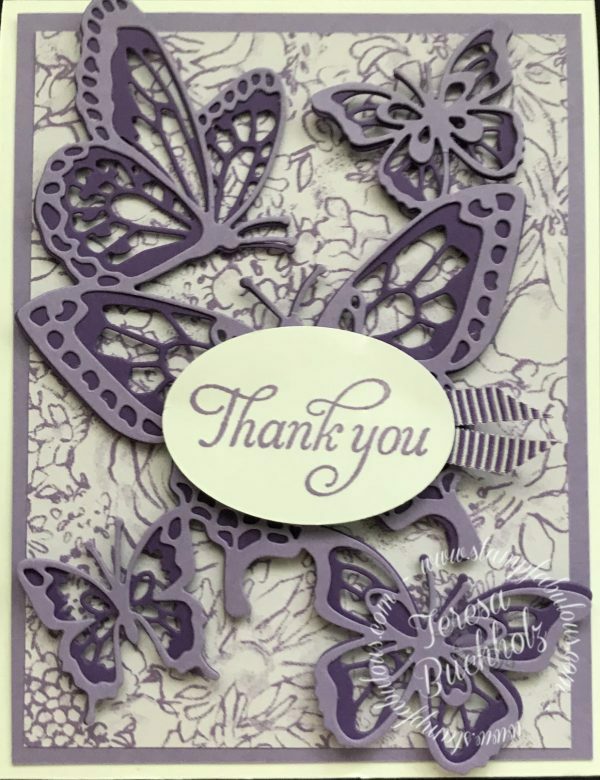 I have totally forgiven Stampin’ Up for retiring my butterfly punches and thinlits this year! I am sure this bundle is going to sell out and be back ordered. The Butterfly Beauty Thinlits have 20(yes, twenty) pieces! 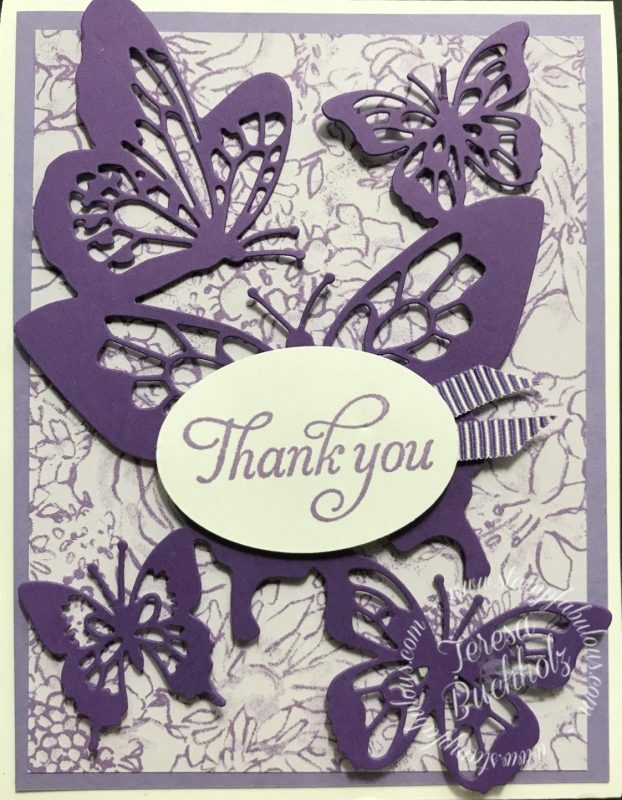 Here is the first card I made before I discovered that there were overlay framelits….I just sort of jump right in and start making something, before I look at everything! LOL! Very bad habit! I love this card! Wow, I got so excited I forgot to make sure that I adjusted the tones. The card base and tag are actually Whisper White Card stock, my bad that it looks like Very Vanilla!